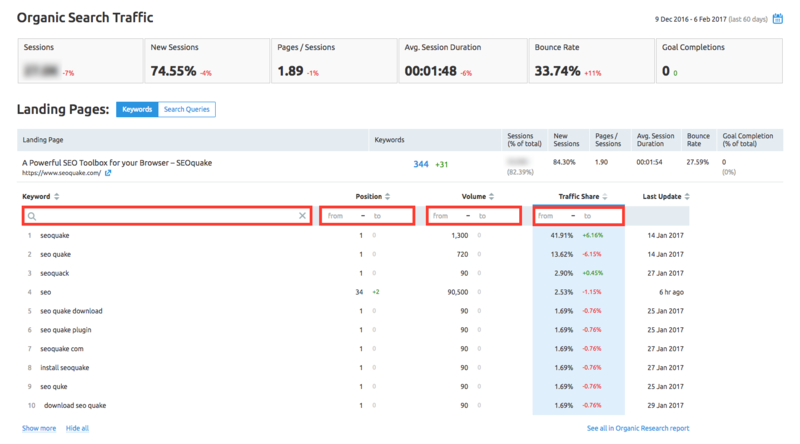 Our youngest tool, Organic Traffic Insights, which is designed to help you improve your SEO strategy, keeps growing by accumulating new handy features we’ve included according to your feedback. So what are they and how can they speed up your work? First, we’ve made searching for keywords easier — in the blink of an eye you can now find a group of keywords you are interested in analyzing using our neat Filters! There is no need in browsing through a seemingly endless list of keywords to find a particular one anymore. You can filter keywords by name, page position, volume and traffic share. In the Search Queries section, which will become available after connecting your account to Google Search Console, there are similar filters: you can filter search queries by name, clicks, impressions, CTR and position. Have you noticed the green and red numbers in each column? The next awesome feature we’ve embedded in the Search Queries section is Trends. 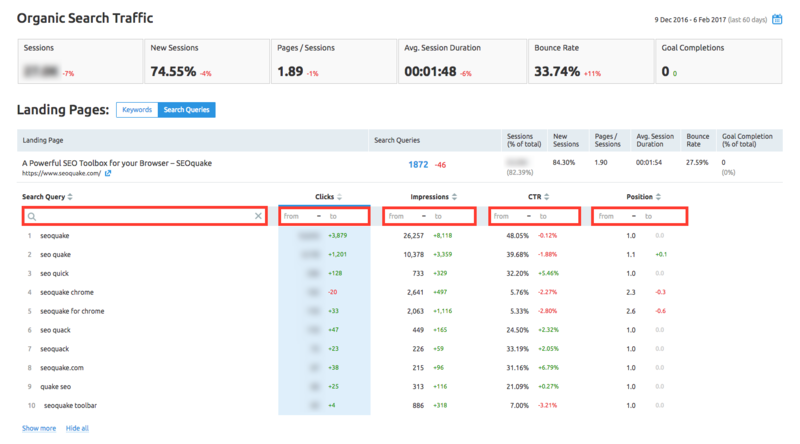 It gives you the ability to track your website’s dynamics and evaluate your optimization efforts by comparing data within a chosen time period. Click on the calendar dates you're interested in and study the trends. Nothing will elude you as information is updated on daily basis! To use this tool, be sure that you have at least one running project, or create a new one. Go to SEMrush Projects, click on Organic Traffic Insights tool and connect your Google Analytics account and Google Search Console (optionally). Now you have all the information you need to improve your SEO strategy right in your hands. The rest is up to you!